Our sixth grade math students have been studying ratio for the past month or two, and put it to use in a great project. Each class first made 'mini mes' by measuring themselves in centimeters to make half-sized and 1/10th-sized replicas of themselves and families. They then went the other direction to create 'mega me' creations that were five times the normal size. One student from each class was turned into a Mega Me to the tune of seven meters tall, with all students working together to measure, draw and paint the finished creations. Take a look at Mega Izzy and Mega Tessa! Tandem's C9 team roster includes: Jimmy Z., Ethan B., Leah G., Daisy S., Ford S., Sophie S., Olivia B., Jack C., Jonathan S., Beth Anne S., Nathan S., Josh W., Adam Z., and Kyle Y. Tandem's Science Olympiad coaches are Alex Siragy and Doug Brown. 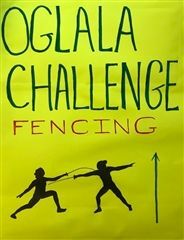 As part of TFS fundraising for Oglala Lakota College, senior Harriet Caplin organized and ran the second annual Oglala Challenge on Saturday, March 9. This team fencing event attracted fencers from all over the county, including Tandem fencers Linwood Bailey and Orro Bowers as well as Julia Bailey and Maisie Fischman. Athletes will be collecting pledges for every touch scored to add to the over $500 already raised. The day was a lot of fun, filled with great teamwork, sportsmanship and friends. Special thanks to Solomon and Al for the facilities support! Tandem 5th graders are currently participating in a life-changing experiential learning activity as they take on John Hunter's World Peace Game. 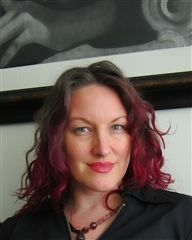 The World Peace Game was designed by local educator Hunter (also a parent of a Tandem alum) as "a hands-on political simulation that gives players the opportunity to explore the connectedness of the global community through the lens of the economic, social, and environmental crises and the imminent threat of war. The goal of the game is to extricate each country from dangerous circumstances and achieve global prosperity with the least amount of military intervention. As “nation teams,” students will gain greater understanding of the critical impact of information and how it is used." Tandem 5th grade teachers Matt Caduff and Carolena Saunders attended World Peace Game Facilitator training last summer, and Buildings & Grounds Manager Roger Bryant built the required three-tiered board for game play. Tandem 5th graders have been assigned world leadership roles and are playing the game over the course of several weeks of school. The students have been especially invested in global warming issues. Our 6th graders have been doing research on life in Afghanistan and Guatemala, then turning that research into migration stories of individuals or families migrating from there. Working in groups, they researched, created migrating 'characters' and turned their stories into short plays about the struggles their characters faced both at home and in a new country. They put the finishing touches on this week and shared their plays with the 5th grade as part of the most recent Mosaic Day. The 2019 Senior Project presentation seasonis upon us! 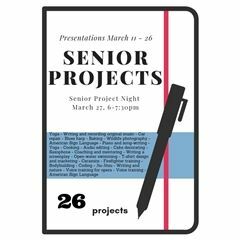 Between March 11 and March 26, seniors will be presenting their projects during Community Time to the Senior Project Committee and the Upper School student community. Middle School students will join us during the Community Time project presentations on March 22. Parents and family are invited to attend any and all presentations. Each day, there will be three or four presentations running concurrently on campus. Students will give a formal presentation for approximately 20 minutes and then open the floor to a Q&A period. We’re looking forward to an inspiring three weeks! The daily schedule of presentations and locations can be accessed on the main website calendar beginning next week and will be updated as any changes occur. Always check the website calendar to be sure. As part of an Advisory lesson this week, our seniors learned basic car maintenance from our Buildings and Grounds team members Solomon Banks, Roger Bryant and Travis Bryant. Using a teacher's car as a guinea pig, they learned to change a flat tire, jump a dead battery, check tire pressure, add fluids, and more. They also learned that Solomon, who has worked at Tandem for over 20 years, knows everything there is to know about cars. No question stumped him. Thanks to the Tandem Earth members (and faculty facilitator Christine Hirsh- Putnam) who came out to work on stream cleanup on Saturday, March 2! They collected loads of trash, including lamps, phones, discarded weightlifting weights, and scooters. It was organized with the Rivanna Conservation Alliance, a group that is responsible for lots of great upcoming events. Check out their website at https://www.rivannariver.org and stay tuned for more cleanups (Tandem Earth members will likely attend their Earth Day cleanup) and TEC events (Invasive Plant Removal Day, with a date TBD). Nice work, Tandem Earth members! Did you know we have four Tandem alums working here at Tandem? And three on our Board of Trustees? It's a great benefit to the school to have them here and they seem to love it as well. Julia Sapir (TFS '93) is in her 9th year of teaching at Tandem and serves as 5th and 6th grade Humanities teacher. 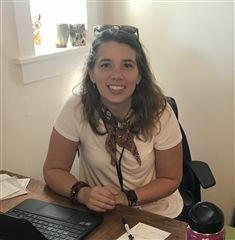 Mary Lyman Bias (TFS '02) joined Tandem last year as Admissions Coordinator, Front Office Manager, and Student Health Coordinator. This year she added a new role as Tandem parent when her son Tynan joined the 5th grade. When Tandem decided to hire a school counselor this year,, we ended up with two part time counselors - both of whom are Tandem alums! Monica Johnson (TFS '04) and Andriana Hench (TFS '06) now serve our students as counselors and share an office in the art building. You'll find more info on Monica and Andirana in the Alumni News section. Richard Aberle, '73, is a professor at SUNY Plattsburgh. He remains dedicated to his love of lacrosse and still carries some regret that we couldn't field a Tandem lacrosse team in the early 70's. 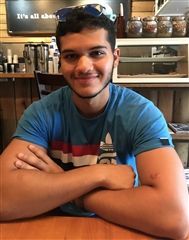 Richard visited Charlottesville and the Tandem campus this summer and opined on the wisdom of Duncan Alling's basketball coaching style and John Howard's tenacity of allowing Richard to graduate but not attend graduation. Richard has coached many college basketball and lacrosse teams and now has accepted his destiny as his son's middle school basketball coach. Richard is also an English teacher and remembers the greatness of the UVA English teachers, Peter Taylor and Douglas Day, who sent their sons to Tandem with Richard. In the January 11 Speaker Series, nine well-spoken, thoughtful recent alums came to share their wisdom about college with Upper Schoolers. They spoke eloquently about how and why they chose their schools, and gave great advice about how to settle in and find friends, and how to organize your time. They answered many student and faculty questions about what worked for them at Tandem and what's working for them in college. Five alums spoke to 9th and 10th graders together - Tommy White (TFS '16), Kiley Weeks (TFS '17), Levi Schult (TFS '17), Phoebe Schuyler (TFS '17), and Emma Passino (TFS '17). Four alums spoke to juniors and seniors together - Dylan McAuley (TFS '14), Aslan Urushanov (TFS '17), Zoe Bearinger (TFS '16), and Saunder Boyle (TFS '16). Many thanks to these alums for sharing their time and their wisdom. This annual Speaker Series is always a favorite. What are you doing these days? I have my masters in Counseling and work for the Emergency Services Team at Region Ten in Charlottesville. We man the phones 24/7 for emergencies and provide support, consultations, hospital evaluations and make recommendations about involuntary treatment. We also provide crisis counseling. Often when people are in crisis things usually aren’t going well, so they are open to considering change. I love working with people at such a raw time when they might be ready to examine whether it's time to make a shift. I also work part time as a counselor at Tandem. What are you doing these days? - I've been living in beautiful Vancouver, BC since 1996. I was actually born here but we moved before I turned three and I spent the first half of my life in the US. After college, I was living in Seattle and I came up to Vancouver for a weekend and fell madly in love with the city where I was born. Lucky for me, this country was very cool about the whole cross-border migration/dual-citizenship thing... The border guard glanced over my paperwork for less than a minute before waving the 3-ton moving van through and smiling, "Welcome to Canada!" Aside from geography, I'm working in communications and marketing for a global company—I get to work from home with a wonderful team of people from all over the world, from San Diego to Buenos Aires to Johannesburg. I spend most of my free time these days doing art, making clothes and playing video games. Two years after I moved here, I met my boyfriend, Rodger. We fell madly in love and have been inseparable ever since (20 years in July—omg!). What are you doing these days? I am currently in my last year at Northeastern University School of Law in Boston, Massachusetts. 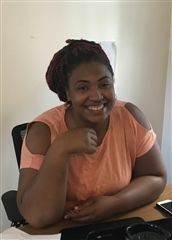 I work as a legal intern at the Suffolk County District Attorney's Office -- Juvenile Division and am conducting research on the expansion of Restorative Justice practice within the Suffolk County District Attorney's Office Juvenile Diversion Program and on the use of forensic Y-STR DNA testing in cases involving unique minorities. I am working as a research assistant for the Civil Rights and Restorative Justice Project, which I believe I shared previously—don’t know if I shared its connection to the National Memorial for Peace and Justice but I wanted to give a shoutout to CRRJ because their work is incredible and I am proud to be a part of it! 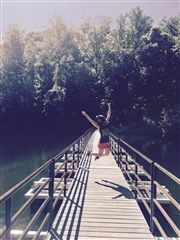 I work at Region Ten in Charlottesville on the Passive Community Treatment Team. We deal with Schizophrenia and other disorders and provide a hospital without walls. We help folks stay in their homes and out of the hospitals. Tandem 5th graders have been learning about how plastics affect the environment and especially our oceans. Today, they participated in the Skip the Straw event held at City Space with four other area schools to inspire people to quit using single-use plastics such as straws and grocery bags. Students created posters for the event; each school got to choose one student poster to share. Tandem's chosen poster design, voted on by 5th grade classmates, was by Oscar Davies - see the photo of his design here. 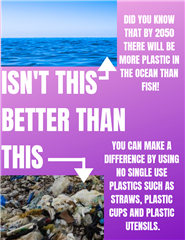 His poster, along with the chosen posters from other schools in the event, will be printed and shared with local businesses to help promote awareness of plastics pollution. Watch for it downtown! After their Skip the Straw event, 5th graders even got to enjoy some down time together at a nearby park. When you have a campus with an old building that has back steps and a second floor balcony, it naturally leads to a more hands-on approach to reading Shakespeare's Romeo and Juliet. Ninth graders take on the classic tale of the star-crossed lovers every year, reading it out loud in class. But when they get to the balcony scene, they head out onto the quad, sending Juliet and the Nurse to the upstairs balcony and posting Romeo down below. The whole campus rings out with Shakespeare's classic balcony scene lines and students walk away with an experiential version of the famous scene. On a dreary February day, love was in the air as we heard 'wherefore art thou Romeo' and "I shall say goodnight 'till it be morrow' from up above and down below. It's always a lovely treat for the ninth graders, teacher Nancy Hiles Johnson, and those of us who get to listen in. The last week of February will bring two powerful pieces of drama to the Tandem Friends Upper School, with each production followed by facilitated discussions afterwards. It's a great way to use the arts to create thoughtful dialogue about difficult topics. 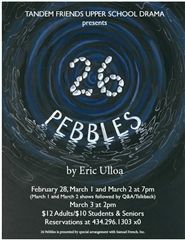 Our Upper School drama program will present 26 Pebbles, a powerful play by Eric Ulloa, that showcases residents of Newtown, CT affected by the tragic events and community rebuilding that took place during and after the Sandy Hook Elementary School tragedy. 26 Pebbles looks deeply into how a community processes shock and grief and draws parallels to living as a community that is trying to be something more than the tragedy that defines it. It seemed a natural and healing choice following the community challenging events of August 12, 2017 in Charlottesville. The Upper School, joined by 8th graders, will watch the play together, followed by a facilitated discussion with the cast. The query groups that afternoon will focus on questions prepared by cast members that will relate to the show's message. Public performances of the play will be held at 7pm on February 28, March 1 and March 2, with a 2pm matinee on Sunday, March 3. The Friday, March 1 and Saturday, March 2 shows will be followed by a Q&A/Talkback session. The following day, LiveArts Education will bring its Teen Theatre Ensemble Workshop production of I Never Saw It Coming to the Upper School for a perfomance and facilitated post-show discussion. Written by Doug Grissom in 1997, the show focuses on teenage relationships and has some strong Tandem connections. When the show was originally performed here, our own Mary Lyman Bias and Andriana Hench were involved - Andriana worked on it for her Senior Project and Mary was in the cast. Last summer, sophomore Anna Kalnite was part of a team that worked with the author to update the production for today's teens. Parents who are interested in seeing the show can attend the LiveArts performance on February 23 at 8:30pm (pay what you can at the door). Tandem 5th graders have embarked on a virtual road trip through the United States. Starting from four different locations around the country, their final destination is fabulous Lincoln, Nebraska, home of the Huskers, birthplace of Kool Aid. As they travel through the country they will learn about famous landmarks along the way, practice managing a travel budget, and hone their collaboration skills. Of course, before embarking, they will need a car to drive. Special thanks to Tandem alumna, Sheri Edgecomb (TFS '86), for inviting the entire class down to Egdecombs Imported Auto Sales and Services to have a look around the lot and 'choose' their desired vehicle for the trip. As soon as these kids get their driver's licenses, they'll be ready to go! Tandem 5th through 7th graders took a break from their studies on Thursday afternoon, February 7, to join about 535,000 students around the world in the 5th annual Global School Play Day. The day was created by educators in a grassroots effort to support the importance of unstructured playtime for students around the world. On our campus alone, there were sightings of Yahtzee, Battleship, Cranium, Bananagrams, Scrabble, Jenga, Monopoly, Marbleworks, Hedbanz, card games galore, basketball, hands-on building projects, sketching, Capture the Flag and more. Some of the unstructured play began during lunchtime between 7th graders and their Big Badger mentors. 5th and 6th graders continued the play throughout the afternoon. Stop by the Blue Room to check out the 5th grader's Shelter Project. For this project, the 5th graders designed homes adapted to the Earth's various biomes. They found actual locations on Google Earth ranging from the tundra in Northern Canada to an oasis in Egypt. They learned about heating and cooling systems and building techniques that are adapted to a range of environments. After a visit from building specialist Justin Pincham of Halcyon Contracting, the students set about designing floor plans and elevation drawings for their shelters. The finished results are worth a look! Tandem ninth graders Leza Kolomeisky and Madeleine Caduff have had artwork and poetry accepted into the juried show Through Our Eyes: Teens respond to August 11th and 12th and its Aftermath. The show is a mixed arts competition and exhibition for teenagers (grades 9-12) hosted by The Bridge on Monticello Road. The show solicited teen art focused on the impact and effects of August 11th and 12th, 2017 on teenagers. Leza and Madeleine's work was chosen out of the many submissions to be part of the juried show. Categories of art submitted include photography, drawing/painting, writing, music, sculpture, dance and film. The winner and runner up of the visual arts and the writing/performance categories will receive $100 and $50 respectively. The pieces accepted into the juried show will be on exhibit at The Bridge for the month of March with an opening on March 1. Congratulations, Leza and Madeleine. On Wednesday, a group of middle and upper school students braved the cold and a very early start to travel to Richmond for Conservation Lobby Day. This event was sponsored by the Virginia Conservation Network. Students learned about legislation related to Virginia's participation in the Regional Greenhouse Gas Initiative, coal ash cleanup, energy efficiency, protection of the Chesapeake Bay, smart growth initiatives and the list goes on. Christine and Doug were very impressed by our students. Many of them took the time to research specific topics of interest and they were quite articulate in communicating their concerns with their elected representatives. Students are pictured with Delegate David Toscano of Charlottesville. On Wednesday of this past week the finals of the Tandem Scripps National Spelling Bee were held. After going through 140 words overall and twenty-five initial contestants, 6th grader Connor Powell, after a number of clutch conjectures, came out on top. He won on the word "garbanzo." Josie Muss took third place in the competition, and Ari Hicks, who gave Connor a lengthy run for his money, took second. Our Tandem spellers should be most proud of their accomplishments. Connor will now represent Tandem at the regional bee competition on March 9th, which will be held at Albemarle High School. Thanks to Mark Goldstein for setting up the audio equipment, and Anne Deane, alum Dylan McAuley (TFS '14), and and alum Sophie Caplin (TFS '14), who acted as judges in this year's event. Tandem Upper Schoolers Maya Goldstein, Jess Snelling, Emma Johnson, Harriet Caplin, Elyse Jabalee-Farrell, and Meridith Frazee, and their faculty chaperones Trefor Davies and Amanda Evans headed to Sidwell Friends School in Washington, DC to represent Tandem at the 2019 Quaker Youth Leadership Conference January 31-February 2. The theme of the conference, co-hosted by Sidwell Friends, Friends School of Baltimore and Sandy Spring Friends School was 'higher ground through common ground.' The conference included workshops, speakers, meetings for worship, service projects, and a visit to The Newseum. Friends schools from all over the east coast, from south to north and one from Canada (over 25 schools), were in attendance. Students slept in the Sidwell gym and were placed into 'family groups' they ate and performed service work with; the groups included members from different schools.The keynote speaker on Thursday evening was John Biewen, who serves as audio program director at the Center for Documentary Studies at Duke University and hosts the podcast Scene on Radio. He spoke about how to effect change and how not to contribute to racism. Participants visited The Newseum and attended special workshops there that focused on First Amendment rights as well as media ethics. There was also an interactive workshop presented by Friends Committee on National Legislation (FCNL) on how to lobby for causes that are important at the school, local, state and national levels. Tandem students reported that there was a whole section of The Newseum devoted to recent events in Charlottesville. During lunch one day, they managed a visit to the National Portrait Gallery as well. There were various service projects, including writing letters to politicians, and a speaker who talked about first amendment rights in schools. There were student-led workshops on perspective, stress management, social media and more. There was even a talent show. This year's QYLC provided our attendees, all of whom serve on our Friends Council, with much food for thought and they returned tired but feeling energized and enthusiastic about all they learned and experienced. The Tandem Science Olympiad teams had a big showing on Saturday, January 26 at the Charlottesville Regional Tournament putting in 8 hours of hard work participating in 21 events of competitive science. 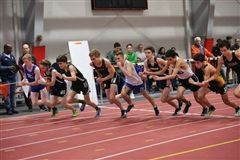 Their efforts were well rewarded at the awards ceremony with medals in several events for Division B (middle school) and Division C (high school). The Division C team had a record night earning medals in half of the events (10/21) offered at the tournament and scoring an impressive 3rd place overall ranking. This rank means that Tandem qualifies for the Division C state tournament at UVA on March 23, 2019. This is the third consecutive year Tandem has qualified for the state tournament - awesome job team! 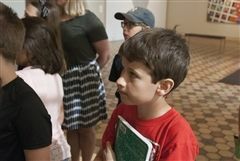 Two Tandem Friends students, 9th grader Emmet Kreisman, and 5th grader Misha Kolomeisky, have been announced as winners in UVA’s Fralin Museum of Art's Writer’s Eye 2018, the 32nd annual literary competition that challenges writers to create original works of poetry and prose inspired by art. Misha's story, The Balloon That Got Away, received first place in the Prose category for grades 3-5. Read Misha's story here. Emmet's poem, Rainbowicity, received second place in the high school Poetry category. Emmet, Misha and the other winners will be honored at an awards celebration on Sunday, March 17 from 3 to 5pm in UVA's Newcomb Hall ballroom. There will also be a 27-page color anthology of all of their writing that will be available to the public for free. Congratulations, Emmet and Misha! Some details from the Fralin website: "This year the art selections came from the Museum’s permanent collection and from five special exhibitions...community and student docents gave 348 tours to students from 36 public schools and 19 independent schools in the cities of Charlottesville, Staunton, and Waynesboro, and nine surrounding counties...contestants submitted 1,306 entries in four age-related categories...entries for the younger grades are judged by panels of local writers and teachers...UVA faculty Jane Alison and Paul Barolsky served as distinguished judges for the high school and university/adult categories." For details and a full list of 2018 Writer's Eye winners, click here. 6th graders had fun building and destroying scale-model villages using graham crackers (all left over from Blue Ridge Day - thanks to the PTA) and icing. They used calculations to determine the scale of their villages, then figured out how big a person could be to live in that village, and how big a 'Godzilla' would have to be to stomp the village flat. They worked in teams of two or three to create the villages. In case you were wondering, the Godzillas ranged in size from 100 to 1000 feet tall and all of the villages were destroyed on an exciting Godzilla Day.